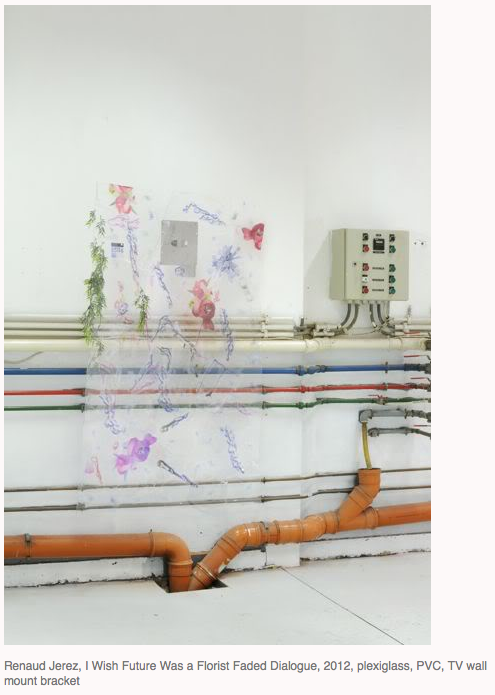 Bunk Club is pleased to present its first exhibition, a group show in an industrial space in the center of Brussels featuring works by Greet Billet, Renaud Jerez, Magali Reus and Sammy Ben Yakoub. 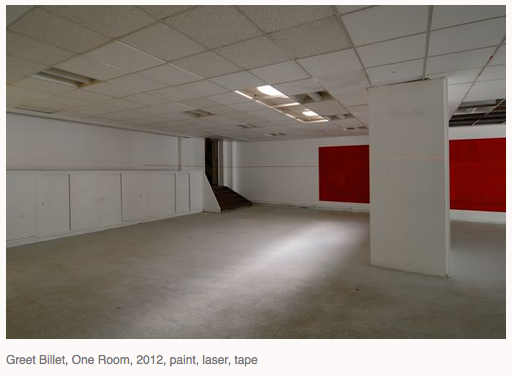 #1 takes place in an empty office space in the center of Brussels, which is to become the Fashion and Design Center (MAD). On show will be four artists whose work is concerned with the representation of our contemporary visual culture. Their approaches vary from maximalist dysfunctional installations based on cyber imagery and multi-layered semi-digital videos to immaterial analogue monochromes made with light and sleek stylized sculptures derived from transitional spaces. 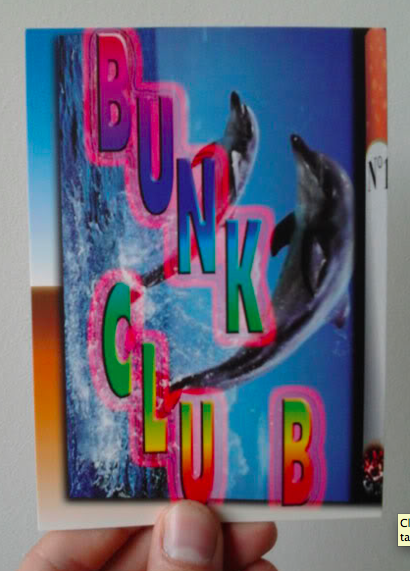 Bunk Club #1 will be creating a continuum between art and technology, business and entertainment. Expect a coincidence of visual languages between the abstract or intangible and the material without losing its awareness of the absurdity involved. 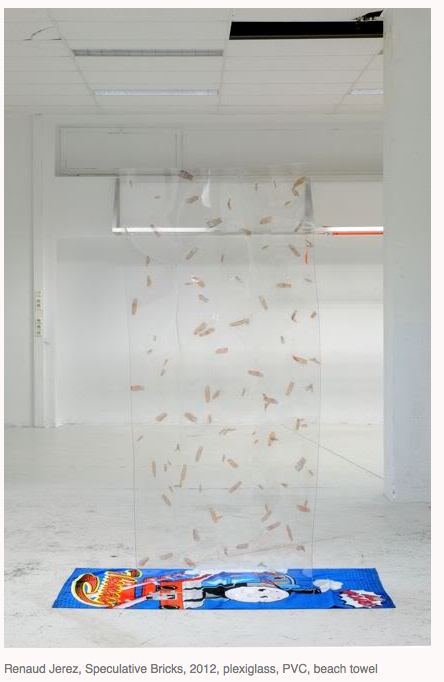 In her work Brussels-based artist Greet Billet attempts to connect the digital with the analogue. Currently she is conducting research on the development of the monochrome in its digital and analogue forms of appearance. Central to this lies the tension between the objective perceptible and the subjective judgment. This is expressed in a variety of media such as video, installation, silkscreen print, sculpture and in the form of a book. Greet Billet teaches Fine Arts at Sint-Lukas University College of Art and Design. Recently she exhibited at Gallery EL, Welle, ‘Colorific’ at Eigenbrakel, Whitechapel Art Book Fair, London and NY Art Book Fair, PS1, NY. 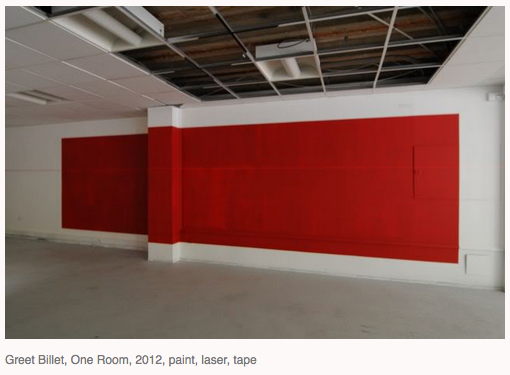 In October 2012 she has a solo exhibition at Sint-Lukasgallery in Brussels. Renaud Jerez uses the visual codes of abstraction to represent a reality that is increasingly more immaterial and intangible. This is to be found first and foremost in the digital world as well as a whole array of functionalist forms. 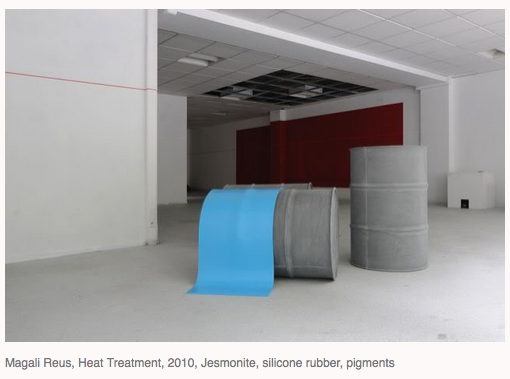 Jerez’s installations attempt to render this ultramodern reality, while reflecting on the layered nature of our current mental and visual environment. Renaud Jerez studied at the Ecole Nationale des Beaux-Arts in Lyon and the Ecole Nationale Supérieure des Beaux-Arts in Paris. 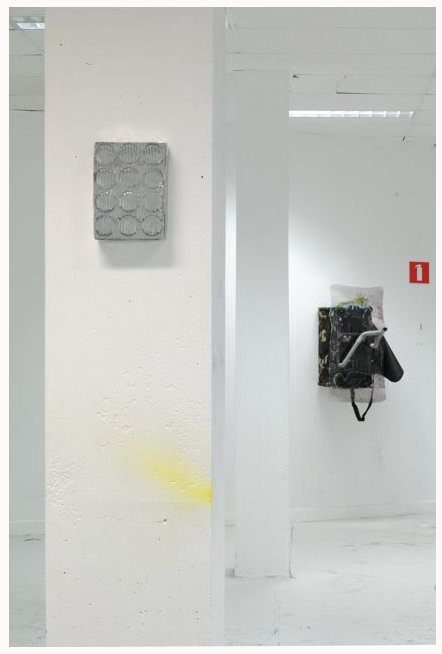 His work was shown recently at gallery Vidal-Cuglietta, Brussels and at Chez Valentin and Castillo/Coralles, Paris. 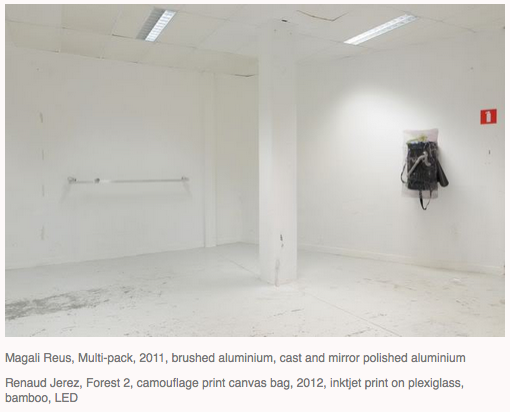 In June 2012 Jerez will participate in a group exhibition at MOT International, London. Magali Reus approaches our present-day excessive visual culture by means of a minimalist form. Her sculptures are based on the architecture and aesthetics of transitional and corporate spaces and are cast into abstract and essential forms. At first sight they seem to arouse a sterile, inhuman effect while resonating with allusions and meaning. 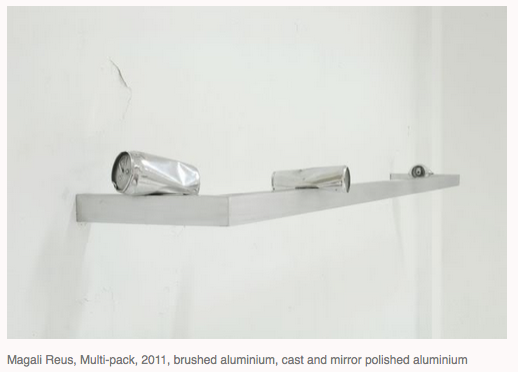 They occupy a place between the visual world of consumerism and abstraction, mass production and minimalism. As such Reus distills physical forms from the intangibility of capital flows and the ubiquity of objects providing its infrastructure. Magali Reus lives and works between Amsterdam and London, where she graduated in 2008 at the MFA in Goldsmiths College. 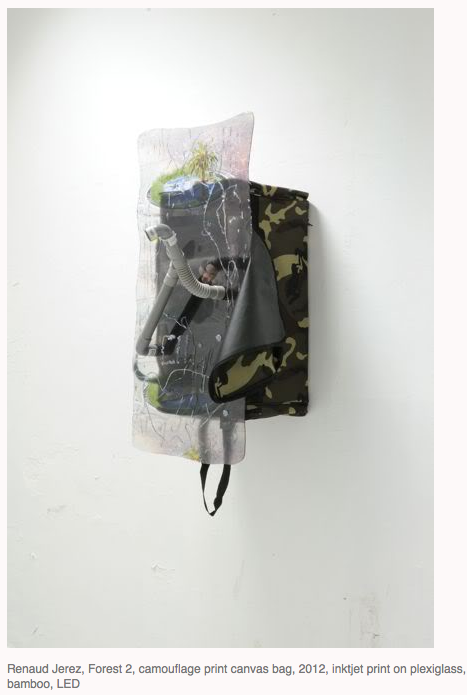 Recent solo exhibitions include ‘On’ at The Approach, London (2011), who also presented her work this year at Independent Art Fair, New York (2012) and ‘Weekend’ at Fons Welters, Amsterdam (2010). Bunk Club will be showing her sculptural work for the first time in Belgium. 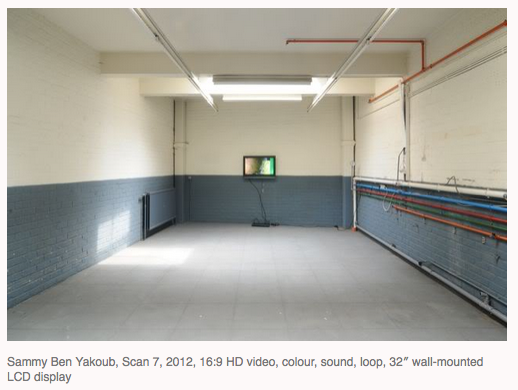 The work of Sammy Ben Yakoub can be situated on the border of fine art and new media. 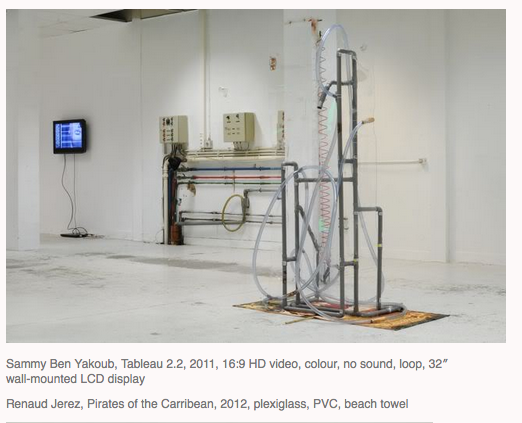 His videos seek to materialize the digital by combining digital grammar with analogue elements. Through the method of editing, pasting and assembling both found and self-recorded images an abstract multilayered tableau takes shape, without narration, beginning nor end. The bright blue and bright green colour refer to a video production technique called ‘Chroma Key’ and function as a zero-point in the work of SBY. From this point composing or substituting images becomes possible. This composition and substitution mirror the mental process of the viewer looking at the work and replacing elements by his or her own interpretations. 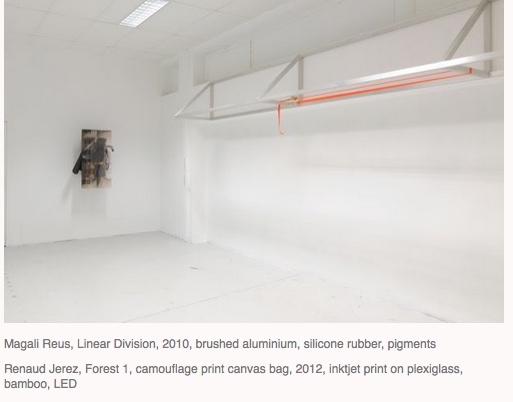 Meanwhile a distance is created between the work and the viewer by the presentation mode on neutral digital screens. Sammy Ben Yakoub studied Fine Arts at Sint-Lukas University College of Art and Design, Brussels. 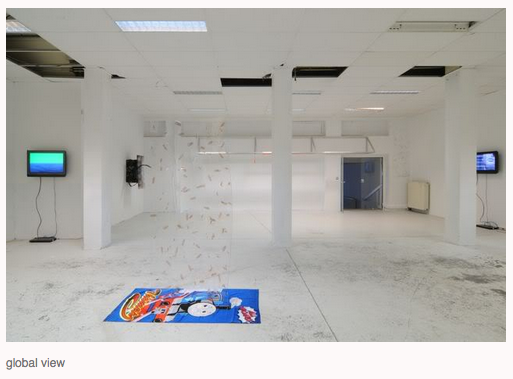 His work was presented earlier at Greyland Projects, NL, Flachland, Berlijn and on the off-program of Contour, Mechelen. With choreographer Andy Deneys he worked together on the dance pieces Miura Verona (Brussels) and Mudar (Paris). In November a contribution of SBY with Edith Doove will appear in a publication on art and generosity by Marc Verminck at Academic & Scientific Publishers.